Lowongan Kerja Terbaru Juni 2016 Bank Indonesia atau BI adalah bank terbesar yang menjadi bank pusat atau bank sentral negara Indonesia. PT. 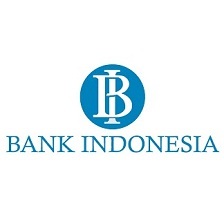 Bank Indonesia didirikan pada tanggal 1 Juli 1828 dengan nama De Javasche Bank pada masa pemerintahan Hindia-Belanda yang bertujuan mencetak dan mengedarkan mata uang pada saat itu. Kemudian pada tahun 1953 setelah Indonesia merdeka, melalui Undang-Undang Pokok Bank Indonesia menetapkan bahwa pendirian Bank Indonesia menggantikan De Javasche Bank sebagai bank sentral. Dengan membawa tiga tugas utama di bidang moneter, perbankan, dan sistem pembayaran dan transaksi. Maximum age of 35 years old on 31 December 2016. Minimum S1 or equivalent, with minimum GPA of 3.00 (scale 4.00), majoring in Law, Economics, Engineering, Management. Preferably for those who have experience in the related field and associated with the implementation of e-procurement. Preferably possess certification in Certified Strategic Sourcing Professional (CSSP) or Certified Internal Sourcing Manager (CISM). Preferably for those who have experience in the field of vendor management. Expertise with vendor management (audit). Preferably possess certification in Certified Professional Purchasing Manager (CPPM) or Certificate in Procurement and Supply (CIPS). Minimum S1 or equivalent, with minimum GPA of 3.00 (scale 4.00), preferably majoring in Civil Engineering. Preferably for those who have experience in the field of Quantity Surveyor. Preferably possess certification in Professional Quantity Surveyor (PQS). Minimum S1 or equivalent, with minimum GPA of 3.00 (scale 4.00), majoring in any field. Preferably possess certification in Certified Property Management (CPM) or Property Management Certification). Minimum S1 or equivalent, with minimum GPA of 3.00 (scale 4.00), preferably majoring in Civil Engineering, Architecture, Mechanical Engineering, Electro Engineering, Industrial Engineering. Preferably possess certification in Facility Management Professional (FMP) or Certified Facility Management (CFM). Preferably possess certification in Certified Associate in Project Management (CAPM) or Project Management Professional (PMP). Willing to be placed in the Head Office of Bank Indonesia with a contract for two (2) years. Not being undergo a bond or willing to release a bond with other institutions when received at Bank Indonesia. Semoga artikel ini bermanfaat bagi anda. Jika ingin mengutip, baik itu sebagian atau keseluruhan dari isi artikel ini harap menyertakan link dofollow ke http://tjarieinfokerja.blogspot.com/2016/06/lowongan-kerja-terbaru-bank-indonesia.html. Terima kasih sudah singgah membaca artikel ini.